Fishing, skiing, boating, and running up mountains were a part of Kyla’s childhood in Anchorage, Alaska. While studying engineering at Colorado School of Mines, Kyla was kick-started onto a new career path by a Monet painting. Transferring to the University of Alaska Anchorage for art, she graduated in 2007 with a BFA in ceramics. She continued on as a Post-Baccalaureate student at the University of Nebraska Lincoln. 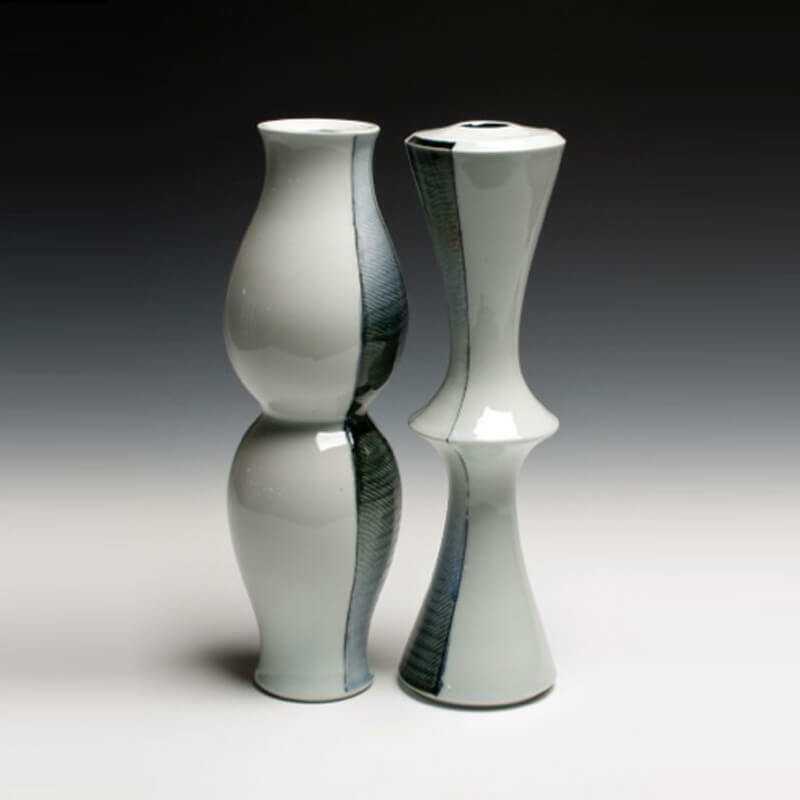 Last year she worked for Andy Brayman in Kansas City and as a summer resident at the Clay Studio of Missoula. Kyla is currently a long-term resident at Red Lodge Clay Center. Applying to grad schools to further her career in ceramics and skiing are on Kyla’s to do list this year. By making functional ceramics, I am continuing my family’s legacy of creating useful things. I grew up in a house my parents planned and constructed themselves. I came to appreciate working with my hands and creative problem solving by helping my dad with his building projects. My imagination and inclination towards engineering grew from these experiences to intersect in my handmade pots. For me, building with clay is like constructing a house out of fabric. I want angles, edges, and geometry, but I’m also interested in the softness of the material. I envision a lifestyle, place, and occupants for each little house and then I build to suit. Starting with a specific use or occasion in mind gives me design parameters for each pot. I then tailor the form to my scenario. After piecing together a form, I address the surface like my mom decorates cookies-one toothpick of icing at a time. In an equally intricate manner, I wrap my surfaces with sinewy line drawings. I pull imagery from folk textiles of my Swedish heritage, adding my own tones in composition or content. In my layouts, I also look to early Japanese porcelain where distinctions between pattern and imagery are blurred. While my surfaces nod to theirs, the drawings have threads of my story that tie the work to my hands.